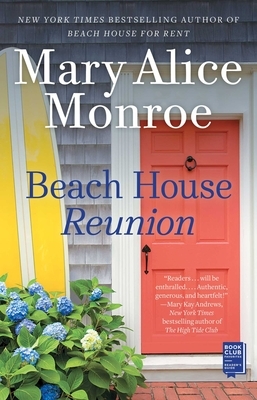 Return to the bestselling Beach House series with Mary Alice Monroe’s tale of the struggles and triumphs of the historic Rutledge family of South Carolina. “Authentic, generous, and heartfelt” (Mary Kay Andrews, New York Times bestselling author), this is an illuminating story of new beginnings, resilience, and one family’s enduring love. Meanwhile, her niece Linnea, a recent college graduate with an uncertain future, leaves her historic home in Charleston, with all its entitlement and expectations, and heads to her aunt’s beach house. On the island, she is free to join the turtle team, learn to surf, and fall in love. Remembering the lessons of her beloved grandmother, Lovie, the original “turtle lady,” Linnea rediscovers a meaningful purpose to her life and finds the courage she needs to break from tradition. In “this tender and openhearted novel of familial expectations, new boundaries, and the power of forgiveness” (Booklist), three generations of the Rutledge family gather together to find the strength, love, and commitment to break destructive family patterns and to forge new bonds that will endure long beyond one summer reunion.